RadioBOSS is the software product that provides automation capabilities for broadcasting stations, clubs, discos, casinos, shops, cinemas. 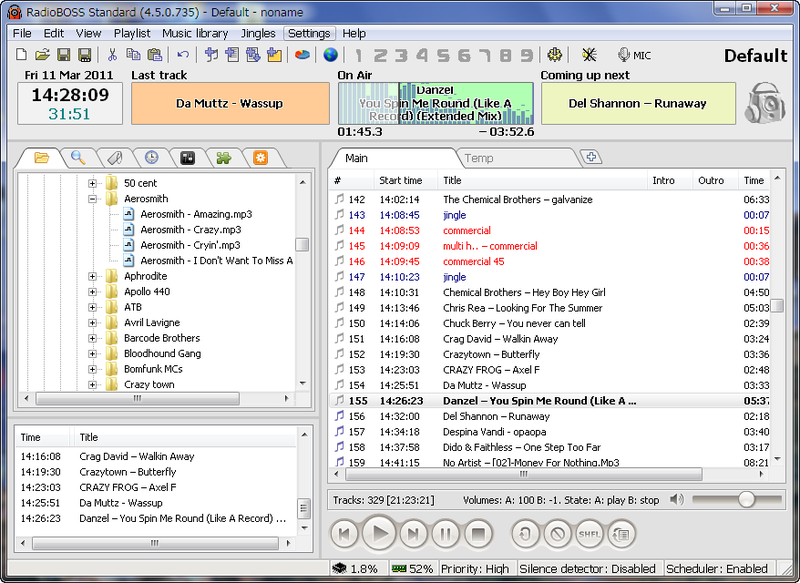 A large number of features allows using it no matter where you need to play music. The software can work for months without operator's assistance. 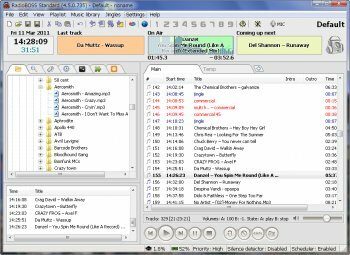 Built-in format converter, CD grabber, music database, playlist generator, scheduler, automatic volume control, crossfade and other features make this software a very useful tool to handle your music collection. The simple and convenient interface minimizes the learning curve.